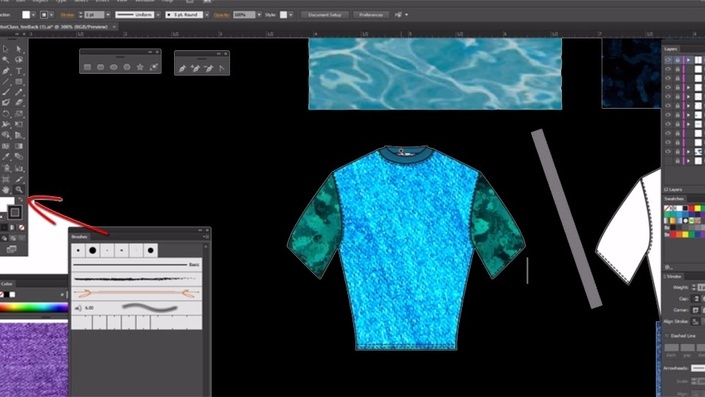 This course is geared toward fashion designers and people who want to learn the power of layers in Illustrator. In this course you will learn how to utilize the power of layers to create flats or drawings that can be edited at high speeds using ultimate isolation. No need to use the isolate tool when your files are automatically isolated for all the many changes that occur in designing a collection. You will draw a basic T shirt and quickly create the back using the power of layers. Learning Ultimate Isolation with Layers for High Speed editing.